They’ve also pumped out a staggering quantity of albums, a lot of them on the ever-enterprising Deep Water CDR label, and this pair… best described as companions, although most of the band’s stuff sounds like this… lie in wait for the unwary today, two slices of ambient clatter and mood-enhancing whispers; space rock for a planet built entirely out of forests. Instrumental music of this ilk posits any number of comparisons – varying shades of Krautrock is a frequent touchstone in Evening Fires reviews, but Hawkwind, the Mothers and the Velvets are referenced too, as textures within the overall soundscape touch upon an idealized version of all in full flow. “Roll Away the Stones” imagines the latter’s “The Ocean” being jammed by Amon Duul II; “We Cast Our Lots with the Waves” samples Nico if she’d joined Tangerine Dream, instead of just opening for them in a French cathedral. Elsewhere, the son of monster magnet returns with room to spare. And so on through ever more exotic blends and blurs, but bleeding through it all, a sense that Evening Fires are blazing from a musical center that wasn’t so much ignited by the past, as reflected in it from forty years distance, while wondering what might have happened if the whole thing was starting up again now. And then it keeps going, spilling out of the sessions that produced What I’ve Been, and onto a whole other disc’s worth of excursions into even deeper improvisational waters. But never once losing either the atmospheres or the melodies that are so eloquently produced at every unexpected turn. Of course Incredible Adventures can be enjoyed in isolation, but why would you want to do that? Line up both discs and glue the headphones on tight. 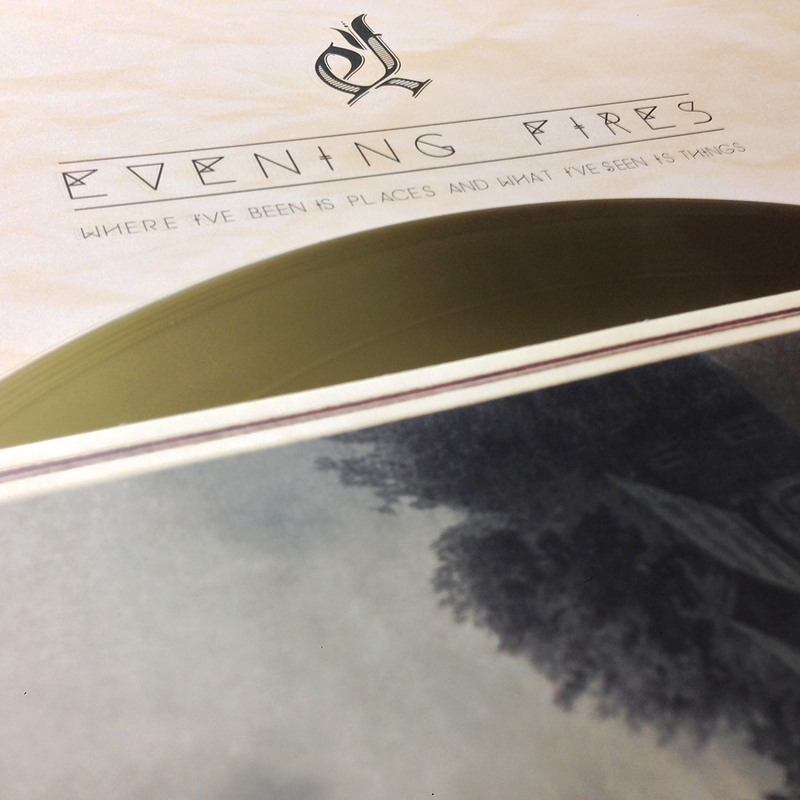 And then start tracking down the rest of the Evening Fires discography.